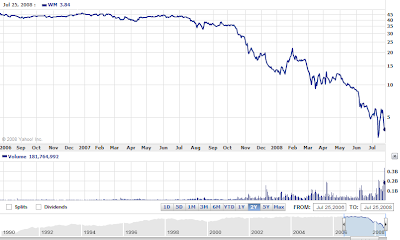 As a Washington Mutual Customer, I really am worried about this company. Why weren't they on the list of stocks the SEC banned from naked short selling this past week? Looking at the Credit Default Swaps On WaMu, has me worried. U.S. regulators have seized two more banks, is WaMu next? Calculated Risk looks at the coming bank failures. 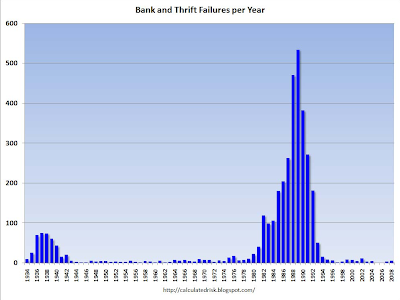 If this turns out to be anything like the failures during the S&L crisis in the '80s and early '90s, we are merely at the tip of the iceberg of the bank failure crisis.